Helping You Stay on TOP of your Transaction! Will any of these situations affect your transaction? – Is this a short sale? – Is this a REO? – Are your principles exchanging (1031) this property? – Will your principals be using a Power of Attorney? – Are any of the parties on the title deceased? – Has there been a change in marital status? – Are the sellers of this property a non-resident of California? – Is the property held in a trust? – Has the statement of information been returned to Escrow? – Will the property be sold in 2-4 years? – Has a bankruptcy and/or discharge been filed? – Are there loans showing on the prelim that should have been reconvened? – Do all parties signing the documents have a valid photo ID or Drivers License? If you answered “yes” to any of these questions, please call me today to see how I can help you to stay on top of your transactions and help you answer any questions you might have regarding any situations that could possibly affect your transaction. Ending the fourth week of the new year with a kick, it’s still a little early to see how 2014 will shape the housing market. Currently, San Diego is 8th of 10 on the “Hottest Housing Market” for 2014. 1- The United States Housing Values will increase by at least 3 percent this year. 2- Mortgage rates will reach about 5 percent by the end of the year. 3- It will be easier for borrowers to get a mortgage in 2014. 4- Homeowner rates will fall to their lowest point in nearly two decades – more people will end up renting instead of owning. If you’re ready to sell or buy a home, or even begin investing in Real Estate, this is the year to do so. Of course, predictions are just that – predictions. This could always change throughout the year. Give me a call and let me know how I can help you today with any Real Estate needs. And don’t forget – post a comment and let me know if you agree with these predictions or not! Now that we’ve begun to establish ourselves into the new year, many begin re-decorating their homes with the latest trends. After doing days of research, I’ve come up with the top five predicted home design trends for 2014. 1. KITCHEN DESIGN: In the last 25 years, kitchen designs have become a fundamental approach to the “open kitchen” concept. In the past, kitchens were put into one disconnected back room in your home. Today, kitchens are typically being built to open up into living spaces in your home, such as your living room, family room, or formal dining area. Walls are continuing to come down and allows focus on entertaining house guests and spaces that are maximizing your ability to gather and relax with family and friends. — Here’s a tip: Use different finishes to help blend your kitchen into the family and dining rooms. 2. NEUTRAL vs. BRIGHT: Ten years ago, we would walk into homes and they would be bursting with bright and bold colors all over the place. Neutral palettes are beginning to dominate the home design trends for 2014. Although color has always been popular, 2014 trends are to paint walls white, beige, and gray. 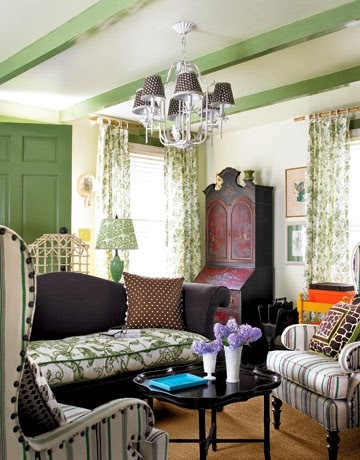 —Here’s a tip: Allow bold colors to pop into small details, such as lighting, throw pillows, or decorative art. Or paint just one wall in a room a bright and bold color. 3. CABINETS AND STORAGE: Drawer appliances have come little changes that people are incorporating into their homes to make them more accessible. Microwave drawers and warming drawers are being hidden away in cabinets, underneath counter tops, and aren’t hanging above a stove. 4. HONEY-TONED WOODS: A big 2014 trend that is predicted to pop up this year and make a statement are honey-toned woods, such as walnut, oak, and cherry. We used to see that dark wood always used to dominate homes, but honey-toned woods are making their appearance again, and we couldn’t be happier! 5. TURQUOISE: It’s everywhere. 2010-2013 was the beginning of seeing a culmination of blues and greens in every shade and hue. 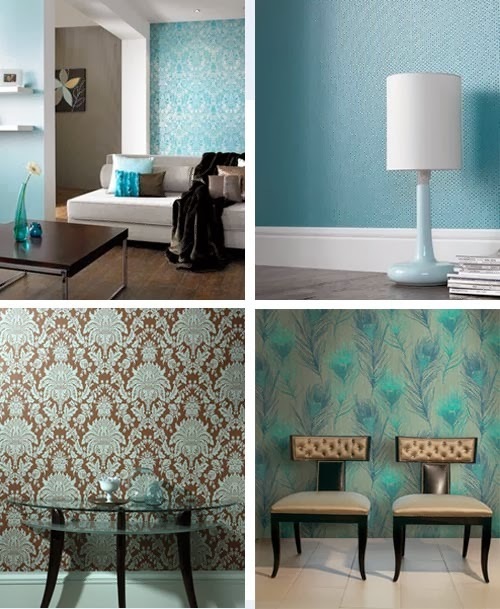 Now, turquoise is beginning to show up in upholstery, wall coverings, and on furniture. And we’re not just talking pale and wimpy turquoise, but the beautiful deep and saturated turquoise. Let me know- Do you agree with the predictions? What is your favorite home design? Post a comment and let us know! Furnishing Your New (or Existing) Home! Moving into your new home or renovating your existing home is a liberating feeling. Come up with a plan for turning your empty shell of a house into an inviting home. Here are some suggestions for pulling it off, even if you are on a budget! This is where you spend the majority of your time in your home. If you’re on a tight burdget, buy as much as you can afford to spend in this area. It makes a huge difference. Paint the bedroom walls to compliment your new bedding and add coordinating window treatments. Choose a light palette of colors and translucent window treatments, which has been proved to make you feel calmer and sleep better at night. Don’t forget to buy the bed you’ve always dreamed about, which should mirror both your personality as well as fit into your space comfortably. If you’re having trouble planning the space of your bedroom, or any part of your home, use a room planner to help you create your space. Live in your home for at least two months before making any type of significant purchase. Think of how you’re going to use your house and live in it before spending money to renovate or buy furniture. Furniture stores love to make you think everything has to match. Don’t do it! Buying a few pieces with the same styles are fine, but any more than that and your home will begin to look like a furniture showroom rather than your home. Make your style show through the furniture. Not ready to take it there yet? 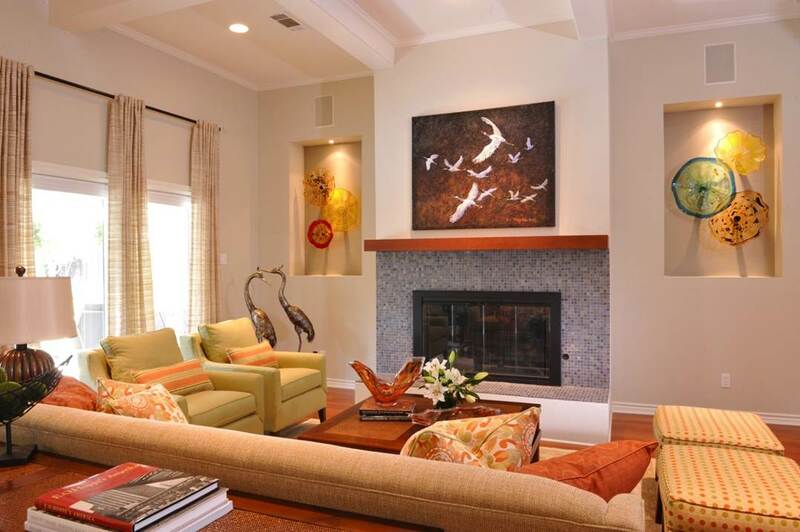 Choose decorative accents, rugs, lamps, and artwork that reflect you and your personal style. Be sure to proportion, scale, and balance your furniture and accessories in each room. Think of odd numbers when picking out accents. It’s more visual appealing to the eye. If you’ve moved into your first place with furniture that spans the 1960s to now, don’t worry. The easiest, most economical way to overcome this seemingly insurmountable problem is unifying through color. Let’s say you have a sofa that has only one thing in common with the furniture in the rest of your living room: a tiny bit of the color in the fabric is the same as the less dominant color in the rest of the room’s upholstery. Solution? 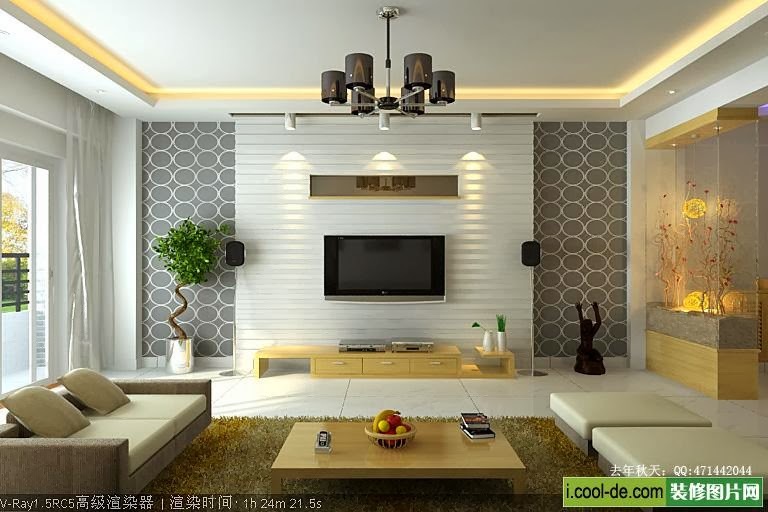 Play up that similarity and make it your living room’s unifying wall color. If that’s too much hard labor for you, find curtains, rugs or accessories in this common hue and see how the pieces begin to complement each other. If you don’t quite have the budget for an entire kitchen remodel, choose the inexpensive approach and freshen them up with paint, and change out the hardware for something more modern. In the bathroom, something as simple as changing the lighting can make an improvement to the appearance of the room immediately. If you don’t have a creative eye and aren’t quite sure where to start, look into hiring an Interior Designer to help you! CLOSING – You’re Questions Answered! Timing is everything when scheduling a transaction to close. If you’re renting, you may want to schedule the closing around the time that your lease ends. If you plan to do work on your new home, choose a date a month or two down the line before you leave your rental. If you’re moving out of a house that you’re selling, you will need to juggle between two closing dates. Schedule the closings in the correct order, since many people need the cash from the first home to pay for the second home. When considering your mortgage, make sure the closing date is set before your interest rate expires. If you plan to move the day you close, be sure to schedule the paperwork as early in the day as you can. This will save time and headache. Many closings are categorized into two closings: the closing of the purchase of your home, and the closing of the mortgage loan to buy the real estate. Your lending statement or “Regulation Z” is important because it discloses your interest rate, annual percentage rate, the amount that is being financed and the total cost of the loan over its lifetime. Be sure to check and double check the numbers before signing. Expect a Monthly Payment Letter, which reveals the breakdown of your month payments, interest, taxes, insurance, and escrow fees. The Note, where you are actually borrowing money and giving your personal guarantee that you are going to pay it back, is extremely important in double checking. Be sure everything adds up before signing this. And finally, the mortgage, where it’s a lien on the house as security for the loan allows the bank to foreclose if you default on the note mentioned above. Take deep breathes when signing these two forms. Now there are the real estate documents that make the house yours. There’s quite a few forms here, so be patient. The first form is the HUD, which contains all the settlement costs and amounts. The closing agent will go over this with the buyer and seller. Pay great attention to this form and read it all over carefully. The Warranty Deed is the document that is brought to everyone’s attention. It includes the name of the buyer, seller, and the description of the property. It guarantees that the seller has the right to sell the property and transfers the title of the property. Next is the Proration Agreement, where it describes how you and the seller are dividing up the costs of the house for the month in which it is being purchased. The seller may have already paid property taxes, for example, and so the buyer needs to reimburse the seller for the taxes that covers the time after the buyer takes over the property. The next few documents are the tax and utility receipts, where you sign city and state receipts that it has been paid by the seller or will be paid by the buyer, and the Name affidavit, basically clarifying that you are you say you are. Lastly is the Abstract of Title, which just shows you a record of the property’s history. The closing date is the day you hand over the money, so be sure you have the correct amount and check in hand when you go into the day of closing. Expect to pay closing costs, which are a portion of the costs that vary from state to state and are usually negotiable. You’re also paying for the down payment (if any) of the home at this time, and giving it to the closing agent along with the lenders check for the balance. And finally, escrow fees, where often times the buyers annual taxes and insurance are paid through the lender. Smile. Deep Breath. Go get your keys! A Closing may be the end of the house and buying process, but it’s the opening curtain on your new life as a homeowner. This Sunday marks the beginning of the 10th annual San Diego Restaurant Week! The event is held for 6 days, with over 180 restaurants in San Diego participating. Experience lunch and dinner courses in 12 regions throughout San Diego county! You don’t even need a ticket or pass to participate- just dine out as much as your belly can hold in as many participating restaurants from January 19th-24th. 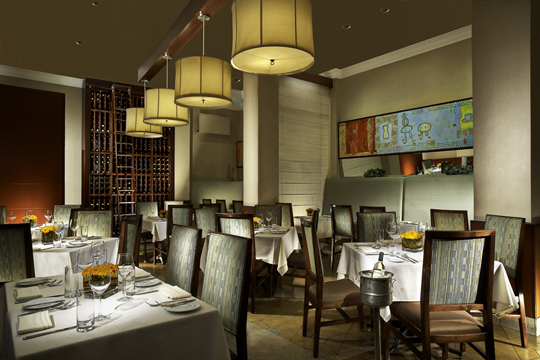 A two-course lunch start from $10, $15, to $20.00 for two. A three-course dinner begins at $25, $35, and $45.00! 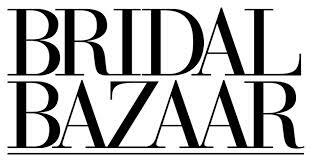 San Diego Bridal Bazaar This Weekend! This Sunday, check out the San Diego Bridal Bazaar at the Convention Center. With over 50 vendors, couples expecting to tie the knot in 2014 can get professional help with everything they need, from photographers to DJ’s, and more. Preview wedding cakes, catering options, the latest wedding trends, and honeymoon specialists. And don’t forget that when newlyweds are ready to buy, choose me to help you find your new home! Categorized as “America’s Finest City” San Diego is home to many world-famous sights and attractions. What many don’t realize is that just east of downtown San Diego (spanning from La Mesa to Julian) offers hiking opportunities, mountain biking, lakes and deep canyons. So, what is there to love in your own backyard? The East County San Diego regions are a beauty all it’s own, offering extra-curricular activities such as hiking, rock climbing, fishing and camping trips in the wilderness. From hiking to the top of Cowles Mountain in San Carlos to take in the beautiful San Diego view, to the mass varieties of terrain gold courses. Here is a list of activities and day trips to discover San Diego’s back yard playground! -Cowles Mountain: A prominent mountain within the Mission Trails Regional Park. This is a 1.5 mile hike and offers over 15 hiking trails up to the top of the mountain to see a beautiful 360-degree view of San Diego county! -Sweetwater Bridge: Take a stroll down the Sweetwater River Bridge, built in 1929. -Sycuan Casino and Golf Resort: a 24-hour Las Vegas type casino that features all of your favorite games, including Blackjack, Poker, Bingo, and Slots. Enjoy a 54-hole gold paradise at the Sycuan Golf Resort. -Check out the beautiful Apple Orchards, where you can try the famous “Julian Pie” from the Julian Pie Company. Go boating at Lake Cuyamaca and volunteer to see a town tour of historic Julian. Not only does East County boast plenty of outdoor activities, it also offers plenty of entertainment! From Native American casinos to luxurious resorts tucked right into the landscapes. Post a comment and let me know what you’ve discovered in San Diego’s back yard! Finding the home of your dreams isn’t always an easy task. I’ve compiled a list of home buyer tips and tricks that I’ve personally learned and used when looking for your next home. –Financial Planning: Put together a financial plan to determine whether or not you can actually afford a new home to buy. Just because it’s a good time to buy in the market doesn’t mean it’s a good time for you to buy. Understand how much home you can afford. –Down Payments: When determining a down payment for a new home, be sure to save at least 20 percent in either cash or cash equivalent accounts. –Be informed: Don’t just buy a home because there’s a pretty picture online. Conduct a price search and talk to people in the neighborhood for “on the ground” intelligence. –Credit Reporting: Get a copy of your credit report. Correct any errors before you start the home buying process. –Mortgage Pre-Approval: Get pre-approved for a mortgage. Ask friends and family for referrals from brokers and shop around with banks and credit unions. –Schedule a home inspection: This is one of the most important steps for buying a new home. Don’t freak out if there’s a problem that arises during the inspection. This often can be fixed or addressed with a simple adjustment in price. –What’s your offer? Start with a fair offer, based on similar houses sold in the neighborhood in the past six months. The offer should include the price you’re willing to pay for the house. –Review your HUD statement before closing: This government document provides basic details for both parties and a lot of numbers. Mistakes occur, so review the statement and confirm that everything is correct. experience, connections with other agents, and referrals from buyers like you. Be sure to choose me, your local Real Estate Expert to help you find your next home. The best way to allow your home to sell quickly on today’s market is to make small, minor improvements that are wallet-friendly. Highlight your homes strengths while you downplay the weaknesses to get prospective buyers to love your home the way you do. -The most important thing to prepare your home for sale is to rid it of it’s clutter. Try to place as many items as possible in storage. -Group and furnish your space by moving furniture away from walls, and re-position sofas and chairs into conversational groups. Use accents to accentuate areas of your home, like colorful vases and fresh flowers. Add decorative art, too. -Many of our homes are not properly lit. Increase wattage in lamps and light fixtures. The brighter the home looks, the more inviting it is. 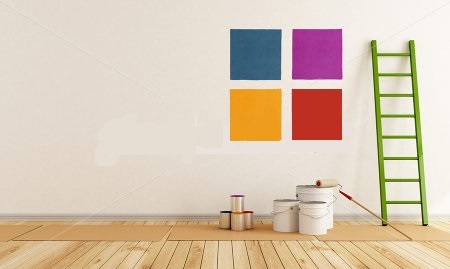 -Make your home and specific rooms look bigger by painting it the same color as the adjacent room. If you have a small kitchen and dining room, make both the same color so that it appears like a larger space. Use warm, neutral colors, like beige, pale blue, and a warm green. -Three’s a company! Mix accessories to make a room more inviting. When it comes to the eye, odd numbers are always more preferable, especially three. Cluster the accessories rather than lining them up in a row. Not everyone has a creative eye when it comes to making these small improvements. Give me a call today and my team and I can help you to stage your home to allow you to get the best price possible!